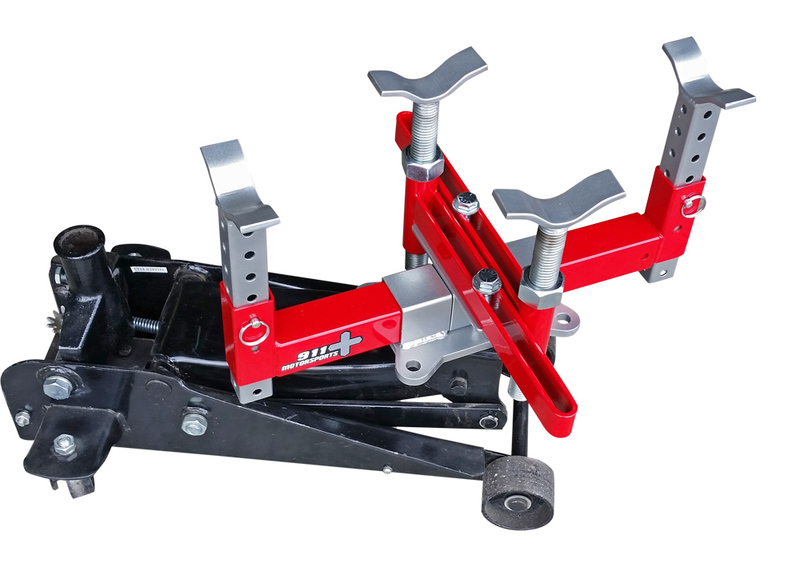 The 4 point jack adapter offers the versatility to hold just about anything that is large, heavy and awkward with your transmission or floor jack. 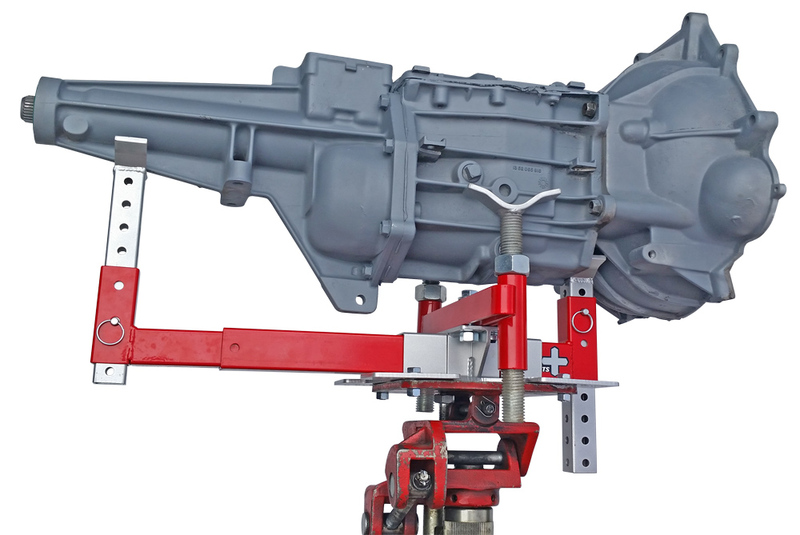 Modular design allows easy assembly and reconfiguration for different objects to be held. 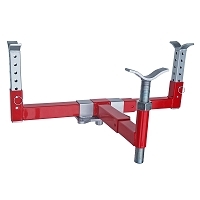 The threaded supports use slotted bars that offer a lot of adjustment and plenty of strength. 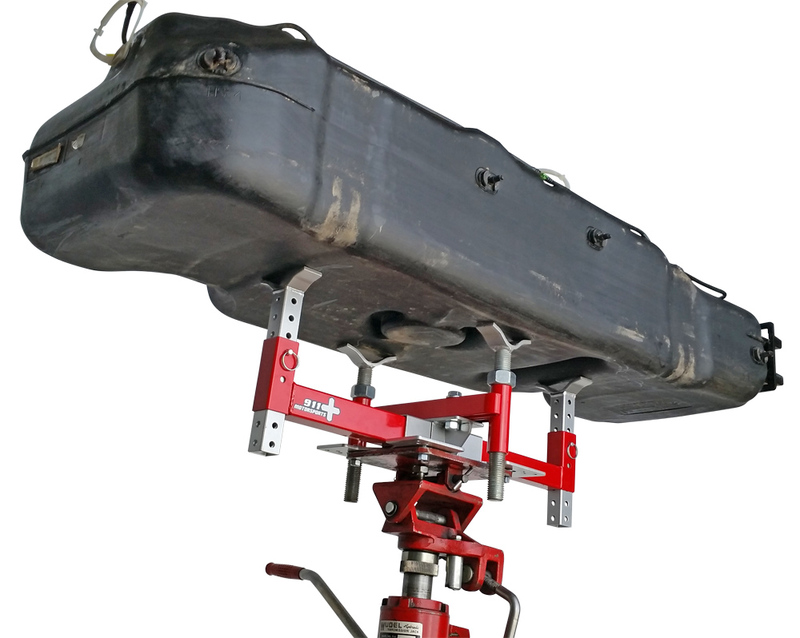 The threaded supports can still be offset from the base plate to support uneven loads. 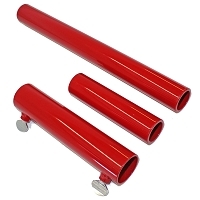 Spring snap buttons are used in the telescoping tube to prevent over extension and allow easy disassembly when pressed. 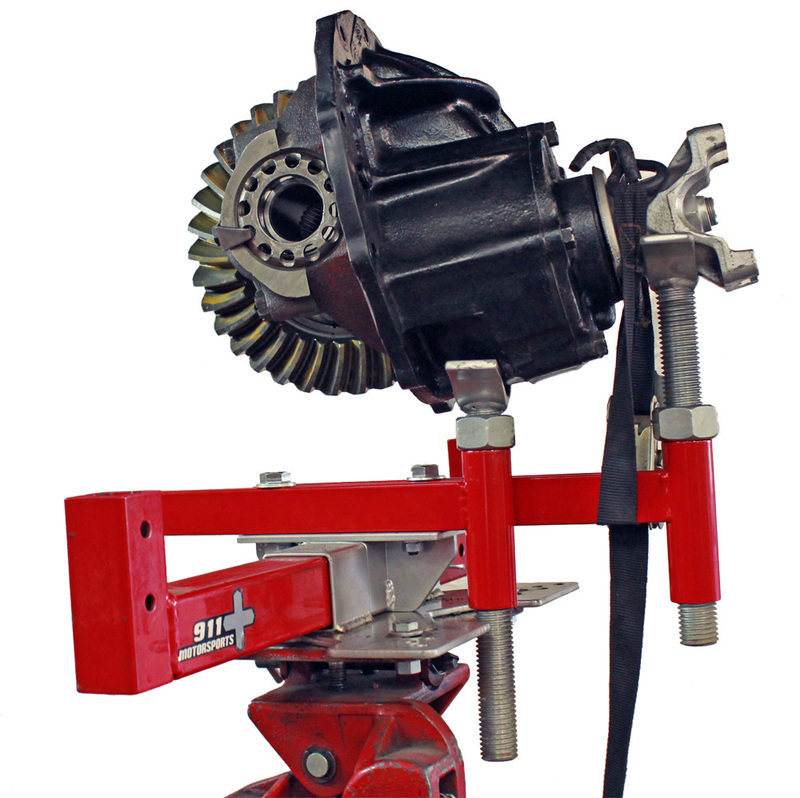 Two base plates are offered for floor jacks or transmission jacks with a flat base. 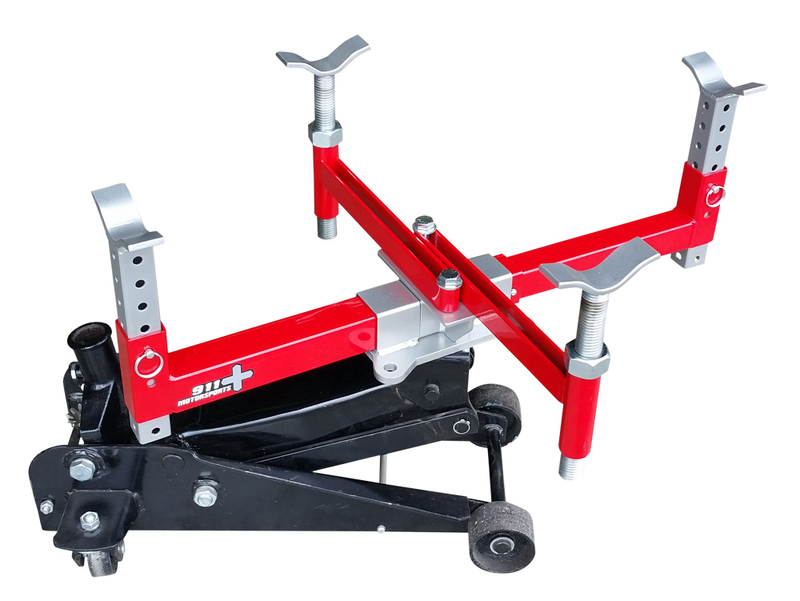 A jam bolt on the base plate locks the main bar in place to prevent shifting while moving. Powder coated finish for ultimate durability. 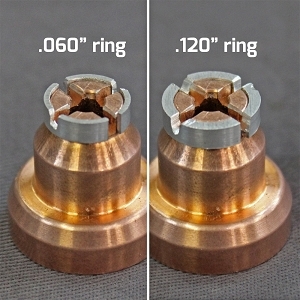 Machined for newer floor jacks that bolt together, we still include a pin that presses into the base for older jacks with 1 3/16" pins. 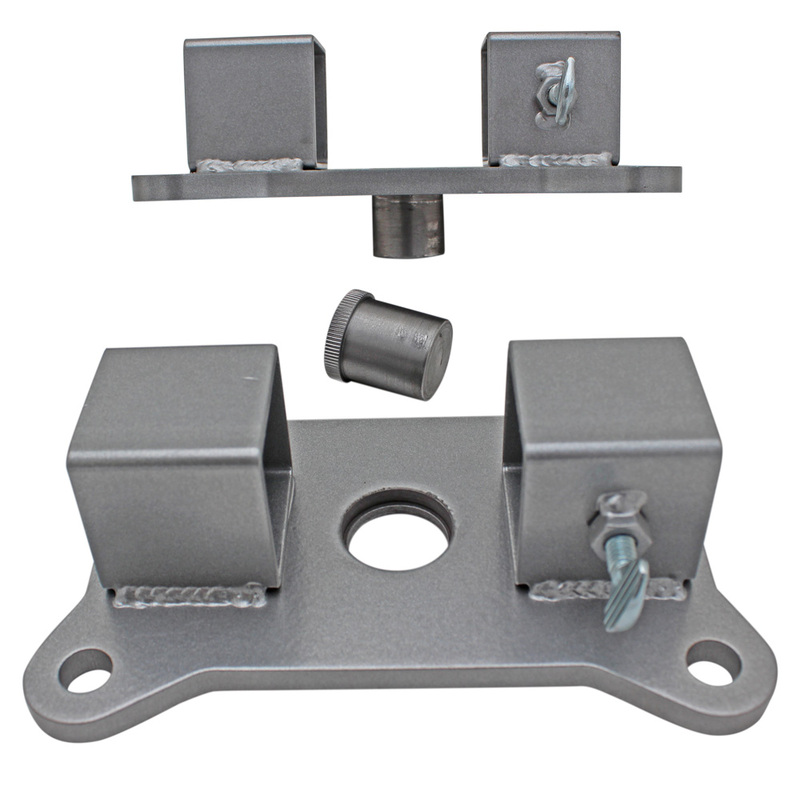 There are two styles of bolt on base plates, this will fit one of those, the other style will be added soon. This works for floor jacks that have a lip with the base removed. To check your jack, remove the base and look at the jack, if there is a lip sticking up your good, if the jack is flat then it won't work yet. 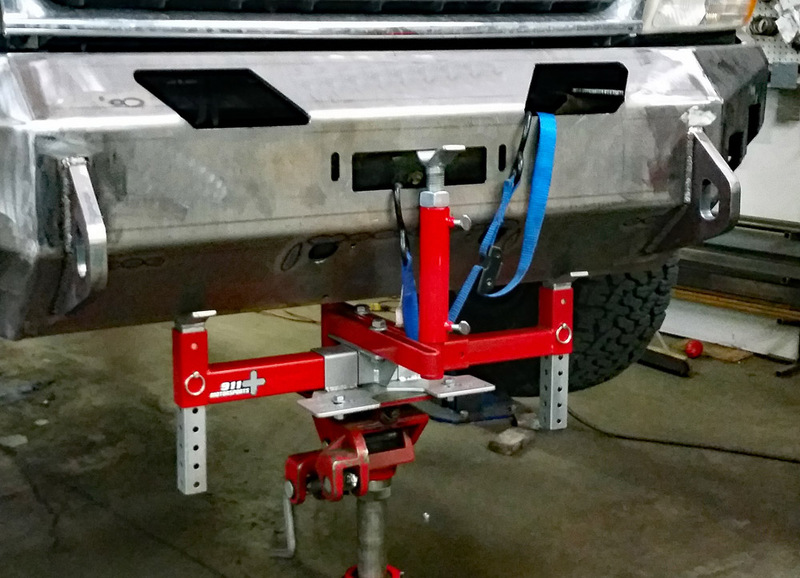 Floor base bolt pattern - 4" x 6 ½" - The new floor base could also double as a transmission jack base plate as long as your jack works with the bolt pattern. 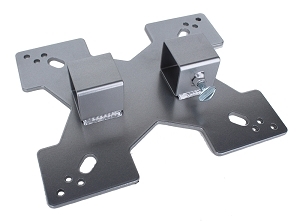 -Transmission base plate - Comes with multiple bolt patterns for common transmission jacks. Jack adapter appears well made and finish is good. Fast shipping. 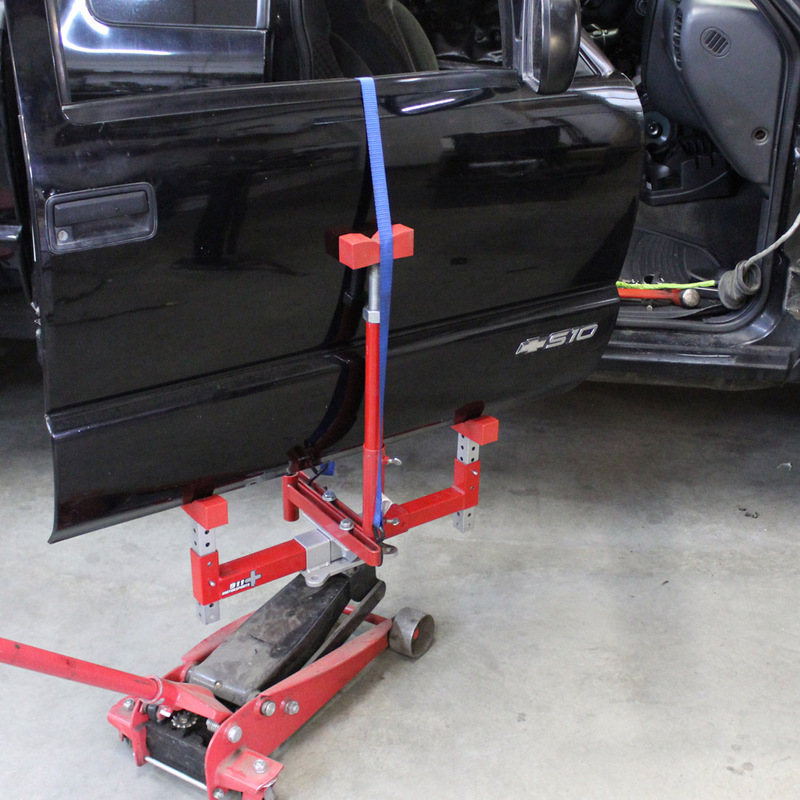 Side bars should help stabilize manual transmission/transfer case. 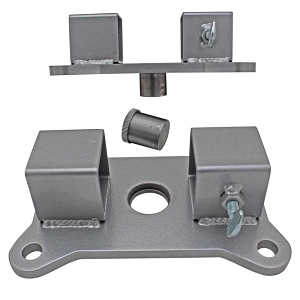 Ordered bumper/door extension adapter at same time. In this video I show the different components of the Jack Adapter, how to assemble and different ways to configure the Jack Adapter. 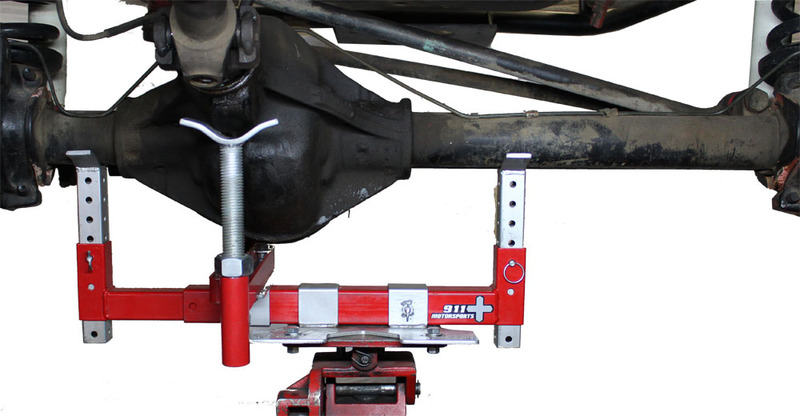 At the end of the video I show just how stable the Jack Adapter is with a properly balanced axle. I was able to R&R this IFS axle without removing any suspension or the half-shafts because the Jack Adapter made it possible to manipulate the axle in a unique way. This was a single take and it only took 14 minutes to install. Do not try this with a solid axle!